Whether you're a professional photographer or not you probably own a few of these bad boys. They may be SDs (tiny cards) or CFs (big square-ish cards), 2 or 4 gigs, 32 gigs or higher. You pop them into your camera & it saves your pictures. Then when you want to view your images you put it into your computer & Voila! Easy peasy. Grandma can use a memory card. NBD. But did you know your memory cards have a shelf life & how you use them or abuse them determines how well they work. Though this list can be so much longer, these few tips address some of the most common mistakes I see. More than just the obvious upkeep, like keeping your memory cards away from water & extreme temperatures & dirt, or making sure you have a safe place to store them, Here are a few tips to caring for your memory cards properly so they don't crap out on you & ruin your memories or your work. I'm speaking from experience here, I've had cards go bad on me & it's more than just frustrating, it's heartbreaking to lose photos. Technology is a fickle thing, but there are ways to be prepared for every scenario. 1. To prevent files from getting corrupted while the camera is in use, never eject your memory card & never turn off your camera while information is being loaded on to it. For example when you take a photo & your image is still being rendered don't eject the card until you see the image on your LCD screen. 2. Don't treat your memory cards like an external hard drive. Meaning, get your images off of your card & onto a more reliable digital storage space as soon as you can. Save your images onto your computers, onto your external hard drives, upload them online (onto a place safer than Facebook), and lastly *print them as soon as possible. Memory cards are flimsy & can easily break. Memory cards are small and can easily be lost. Memory cards don't last forever, save all your photos onto a different space (multiple spaces in fact) to make sure your memories don't get lost. Lastly, What do you do once you need more space on your memory cards (assuming you've already backed up your photos) ? 3. Friends ... Never delete, instead Format. "Backfilling means deleting photos and then shooting new ones. The new photos will reside in the spaces left by the deleted photos, which means the data being written to the card may become fragmented. Recovery is not likely"
(Real talk: If I'm being honest I get neurotic every time I go to format a card even when I know I've backed up all my images multiple times! But because I know it's the best way to start fresh for every shoot I do this & I always clear my cards). 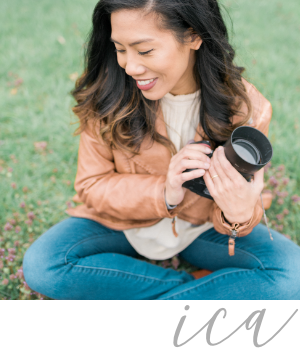 If you're a professional photographer here are 4 more ways I cover my bases & care for my cards & insure all my images are protected twice fold. 1. Work with a 2nd shooter. Two sets of images & two different perspectives. Wins for everyone. 2. Shot RAW + JPEG LG if you are really neurotic & want two copies of your work. 4. Shoot with smaller sized cards & use more of them. They say, "Don't put all your eggs in one basket" for a good reason. God forbid 1 card gets corrupted, don't let it be the card that contains everything (especially a wedding). I do this by changing cards at the end of each section of a wedding day (1 card for getting ready, 1 card for the ceremony, 1 card for the reception, etc..). Yes you'll have to buy more cards but it'll save your bum in the end. Finally, this is by no means an exhaustive list. If you want more tips on caring for your memory cards click HERE, HERE, HERE, or HERE Or ask good ole Siri! There are so many articles out there about memory card care. In other news, meet my newest nephew, Ethan! He's the cutest & I may have cried meeting him this week! You better believe I saved my images of him onto my computer immediately after taking them. Baby pictures are far to precious to leave to chance don't you think? Want to take better everyday pictures? Hope you fill up ALL the memory cards this holiday season with your own adventures & memories.